The idea of Asteroids was originally conceived by Lyle Raines who was Atari's vice president of engineering in 1979. Ed Logg, eventually took the lead on the project and is credited with it's programming. 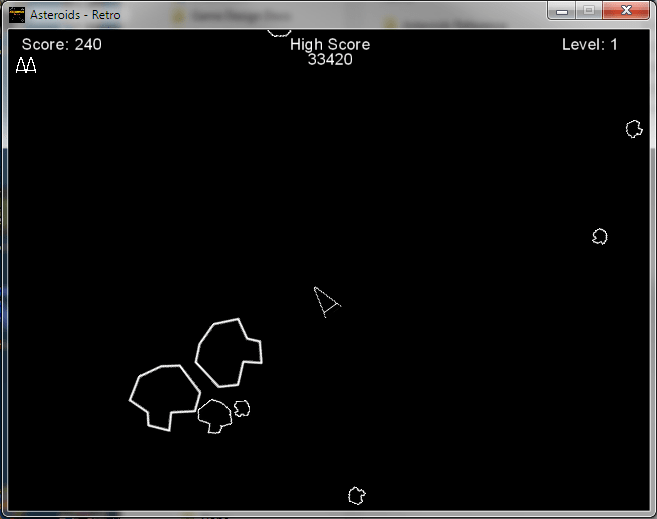 The game's concept is simple: Shoot the large asteroids and break them into smaller asteroids. 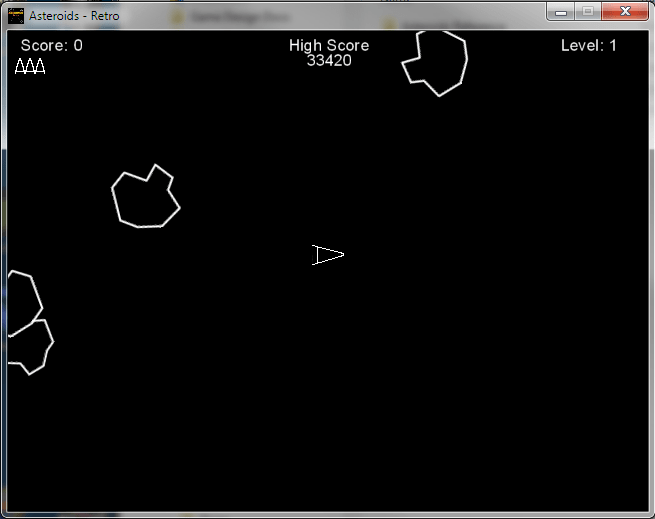 Then shoot those asteroids into even smaller asteroids. The smaller the size of the rocks, the faster they move. This asteroid field puts the player in an ever-increasing danger zone of flying debris. 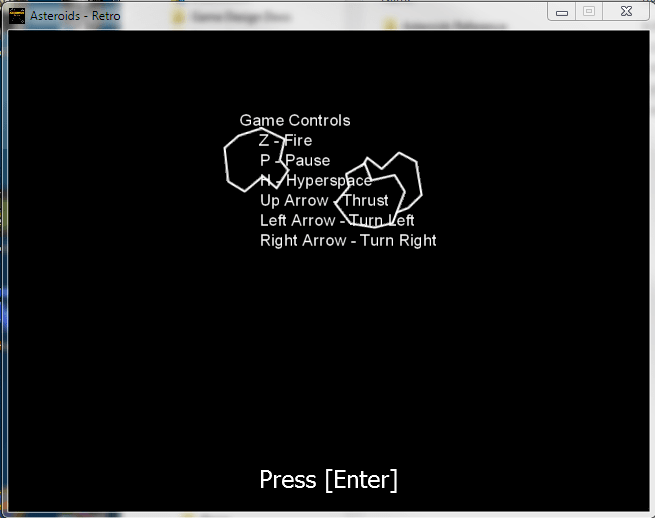 The UFO's were added to spice things up and keep the player from just sitting there avoiding the asteroids. Asteroids was designed on the same hardware as another of Atari's classics: Lunar Lander. Both games used the high resolution, black and white vector-scan screens (in which the graphics are composed of lines drawn on a vector monitor). Yet Lunar Lander never became the world-wide phenomena that Asteroids did. Asteroids was so popular when it was released, it replaced Space Invaders as the king of the arcades and gave Atari enough cash to be financially independent from Warner.